ColecoVision.dk Homebrew Section Presents: Mark Mazure. 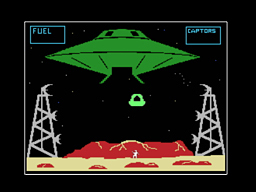 Mark Mazure made a game for ColecoVision called Galactic Abduction. It is a kind of a Lunar Lander. 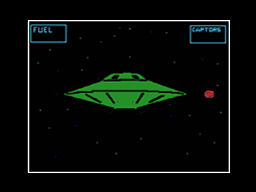 In 2007 was it on a concept stage, and rumors says the game was coded together with the German programmer Philipp Klaus Krause. But it was never finished, and thus never released as a finished game. Whether there is a demo of the game is unclear. To get in touch with Mazure, try this: xxxxxx.